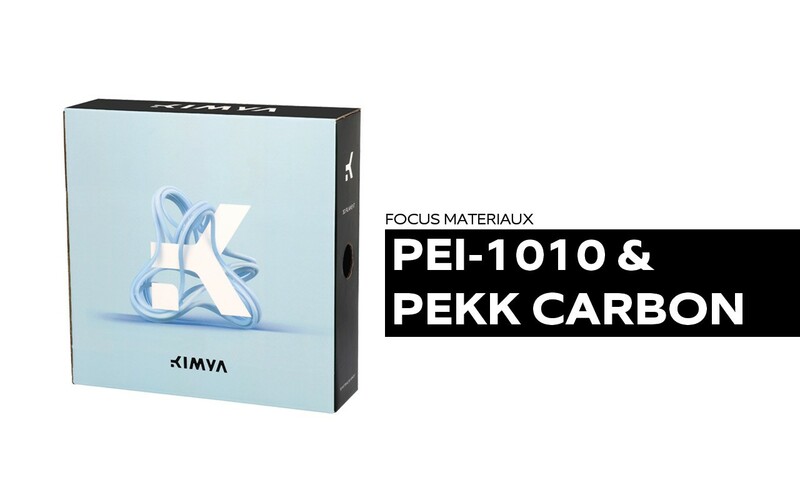 Following our presentation of new filaments just a few days ago, namely the ABS Carbon and ABS Kevlar, we are now going even further in the development of our range with two new materials, the PEI and PEKK Carbon. A summary of their properties and printing parameters. Polyetherketoneketone (PEKK) is a material derived from semi-cristalline thermoplastics, the polyaryletherketones (PAEKs). It is a family of materials that offers excellent thermomechanical properties and also includes PEEK, the material from the family currently most widely used. PAEK is composed of ether and ketone; their ratio and functions influence the polymers’ glass transition and fusion temperature, thereby affecting their thermal resistance and blocking temperature. It is a material that offers numerous advantages such as its high level of rigidity; it is frequently compared to aluminium, although it is 40% lighter. It also offers a high level of resistance to UV and high temperatures, in addition to good chemical and abrasion resistance. However, it is expensive and difficult to transform. Additionally, few 3D printers are able to use the filament, further restricting its possibilities. Its rough surface and limited colours (black, blue, beige and green) are also drawbacks for PAEK. It is a material mainly used in the automotive sector as it offers an excellent combination of hardness, durability and thermal resistance. It also reduces the weight of the final part; it is found in gears, gaskets and even support rings. PAEK is a material of choice in the oil & gas industry as it offers high resistance to temperature and pressure. This is why it is used to create antenna sleeves, valve seats and impulsers. The aerospace industry also uses PAEK as it significantly reduces the weight of parts and offers considerable durability in extreme environments. It is found in landing gear wheel caps, cable ties and belt mountings. Finally, the material is highly valued in the medical sector due to its properties similar to those of human bone. It is therefore ideal for manufacturing dental implants and bone substitutes. 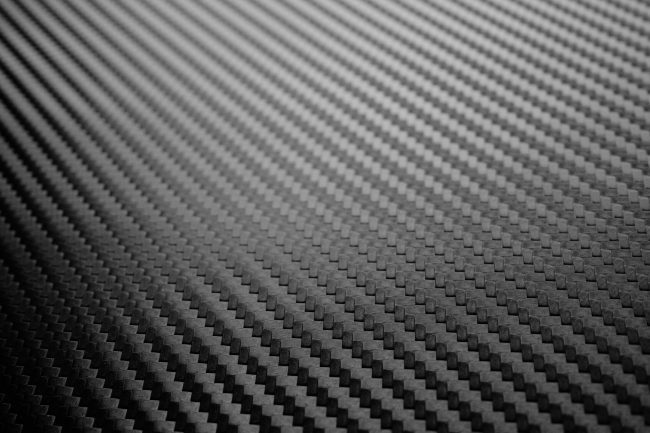 Given the above, Armor 3D decided to develop a material based on PAEK to meet the growing market demand for a more technical material with excellent mechanical properties. 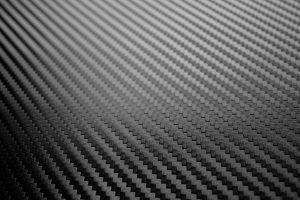 It is a unique carbon alloy from the PAEK family. It is a pseudo amorphous semi-crystalline material with a low Ether/Ketone ratio. Compared to PEEK, PEKK Carbon offers slower crystallisation speed enabling transformation at lower room temperatures, both plate and nozzle, offering better interlayer adhesion and less warping. It enables parts to be created with improved visual finish and better mechanical properties. The PEIs (PolyEtherImides) are part of another family: the thermoplastic polyamides, which are amorphous and offer temperature resistance. PEI is less viscous and therefore more easily transformable. It is found in electrical boxes, connectors, kitchen batteries and motor components as it offers a high level of mechanical efficiency. Compared to PEEK it is less resistant to temperature, but is more accessible in terms of price. PEI is a less rigid material (e.g. lower tensile modulus).